Nozomi Takayama is an illustrator born in Osaka and currently based in Tokyo, Japan. 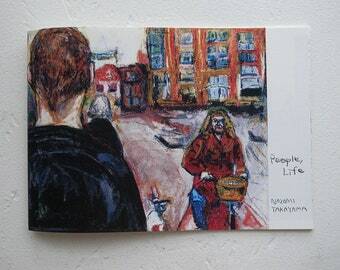 She captures real moments of people and life through drawing and painting. Since her teenage years, travelling has been one of her biggest sources of inspiration. She has self-published a few art books documenting her travels throughout the years. These include babylion (2015) and People, Life (2018). Nozomi also has been illustrating for various clients such as a Japan based musician, annie the clumsy, and a Japanese clothing brand, BEAMS.